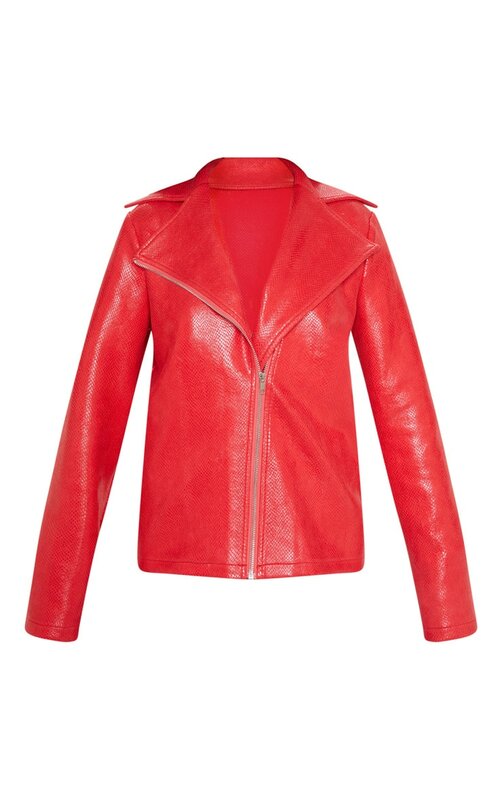 Add some colour to your everyday look with this biker jacket. 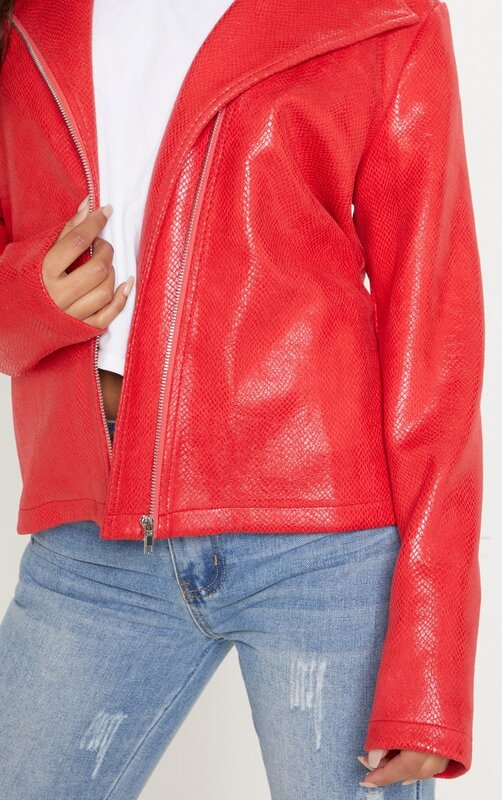 Featuring a red snake PU material with a zip fastening and a biker style. 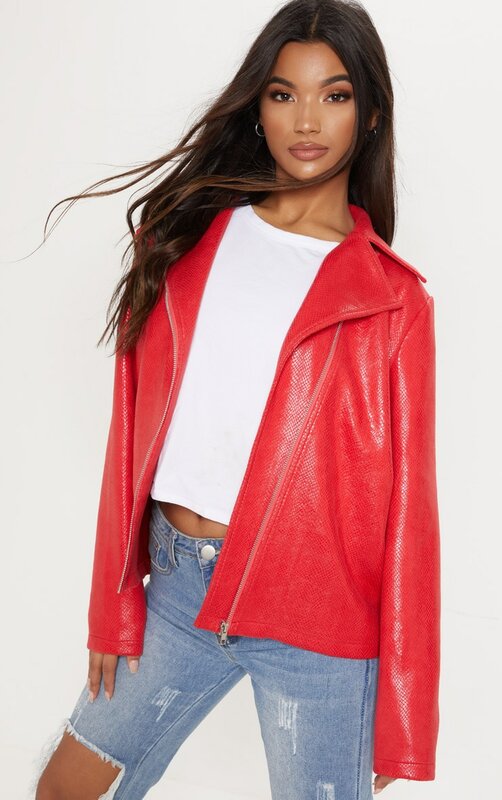 Team it with a white tee and denim jeans for a look that can be dressed up or down.